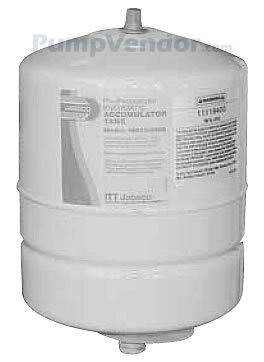 An Accumulator Tank and a Pressure Tank are the same thing. 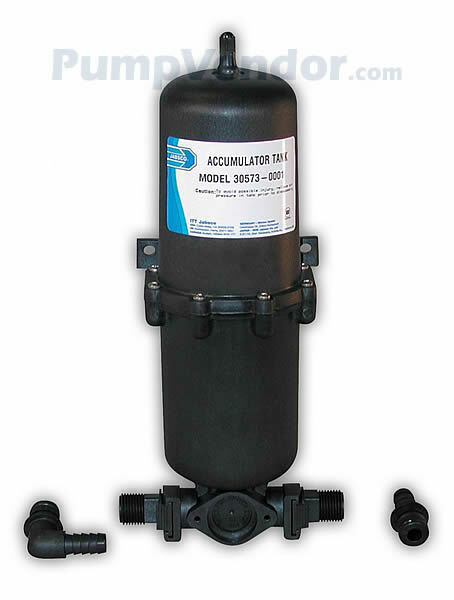 An Accumulator Tank is intended for installation in any pumped water system controlled by a pressure switch. 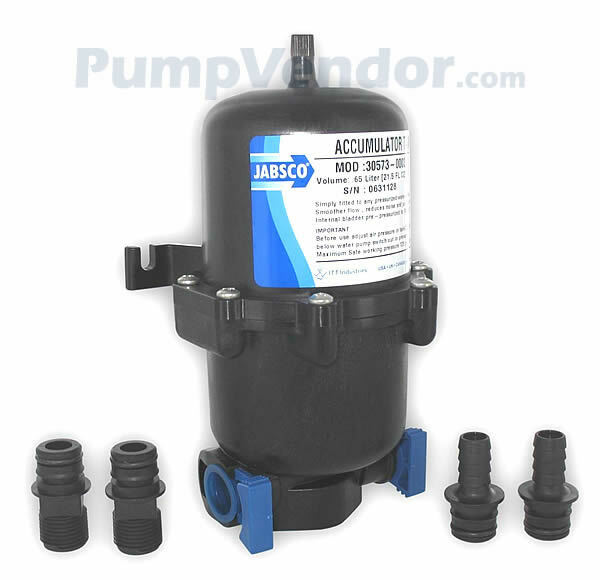 They are not suitable for 'VSD' or 'Smart Sensor' type pumps that automatically vary the speed of the pump motor to maintain constant pressure. 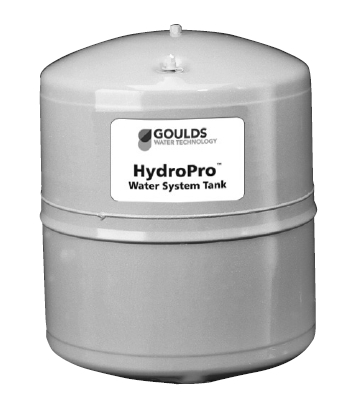 Small Tanks (less than 2 gallon drawdown) are typically used on small boats, RV's, motor homes, coaches, food trucks, cabins, home lawn sprinkler systems and similar applications. 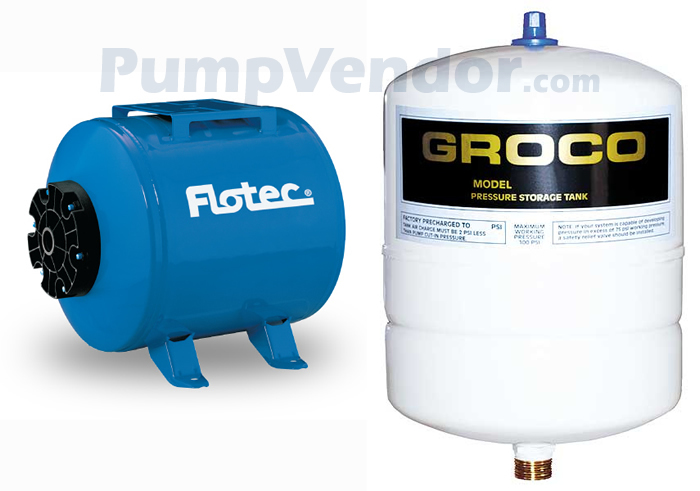 Larger Tanks are for houses with wells, large boats, yachts and other multiple fixture applications. 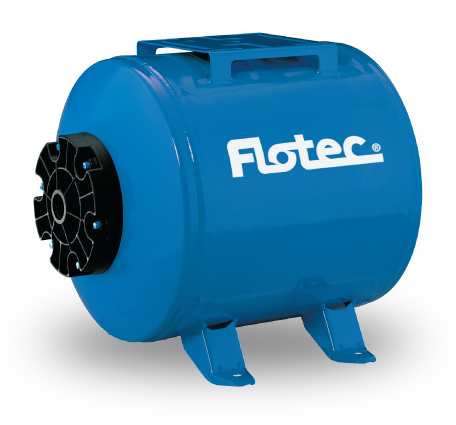 - Reduces rapid on/off cycling of the pump. 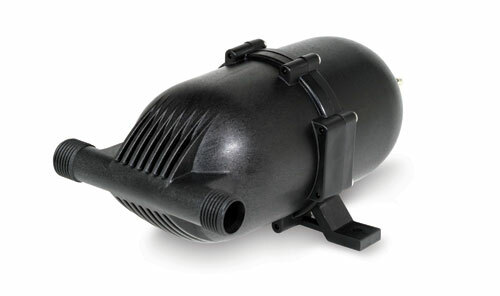 - Smoother and more even water flow, reduced pulsation. 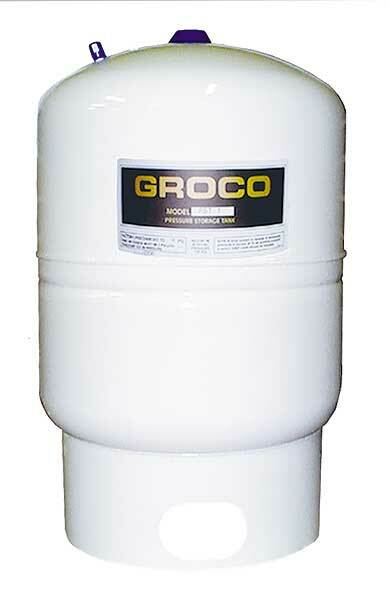 - Reduces shock pressures (pipe hammer). - Longer pump life because of reduced cycling. - Lower battery drain / power consumption. Tanks are simply added to new or existing water systems and are installed on the pressured side of your pump. 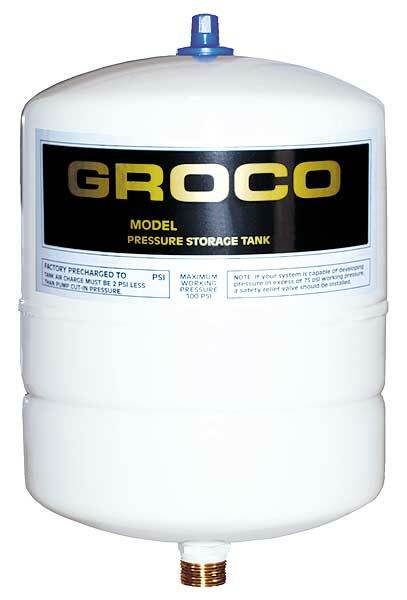 Generally speaking, bigger tanks offer better performance. 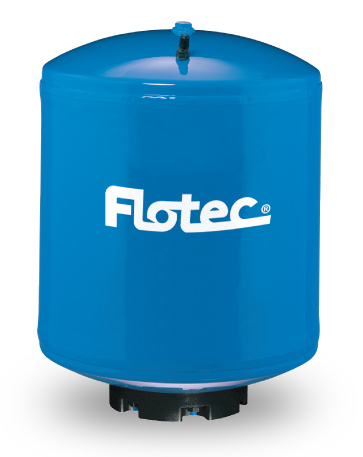 Start with the tank empty of water and no pressure in the water lines (static tank). The air pressure in the tank should then be set between the cut-on pressure and 2psi below the cut-on pressure of the switch. 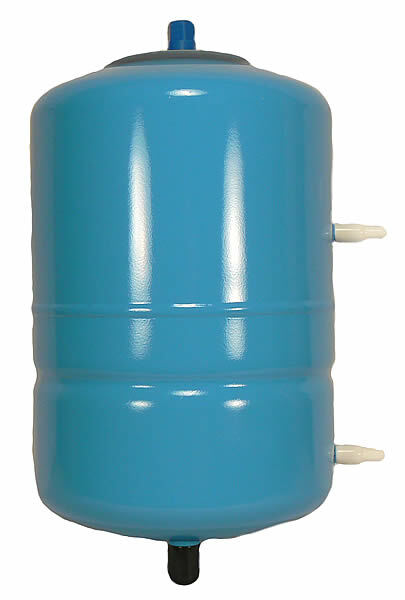 For example, with a 30psi cut-on, 50psi cut-off pressure switch the air pressure in the static tank should be 28-30psi. 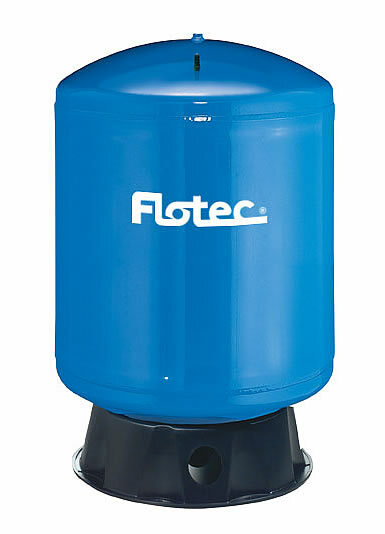 More Info: Flotec, Simer and Sta-Rite parts are interchangeable. The Brand name does not matter, only the part number must be the same. 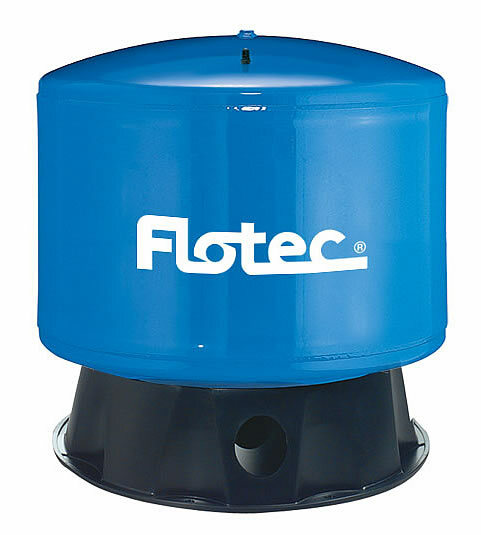 More Info: FP7105-08, Flotec, Simer and Sta-Rite parts are interchangeable. The Brand name does not matter, only the part number must be the same. 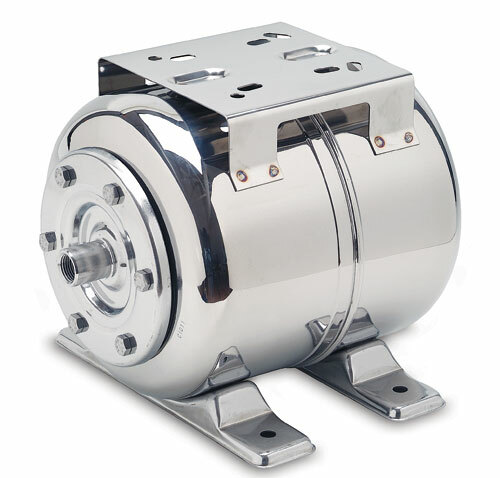 More Info: FP7110T-10, replaces FP7110T-08, Flotec, Simer and Sta-Rite parts are interchangeable. The Brand name does not matter, only the part number must be the same. 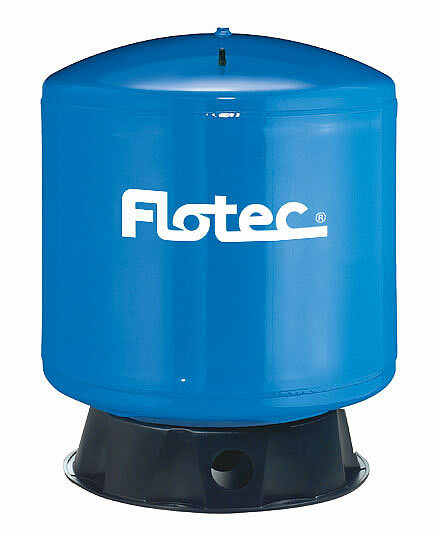 More Info: FP7120-10, Flotec, Simer and Sta-Rite parts are interchangeable. The Brand name does not matter, only the part number must be the same.